Thanks Karen, It was a bit nerve wracking, put the rewward was worth it. I think the petal veins were a very good decision. When I look at the piece as it is now I react much more strongly to it. It reminds me of hydrangeas that grew by my parents’ front door and brings back feelings from then. Well done. That is why I like Hydrangeas so much, they are my mothers favourite and we always had them growing at home and we would have big bunches in the house in summer. I do do do, like the re-work.. Thanks Michelle, so which is your favourite now? lovely i like it :d very good and patient too, by how you do the veins. 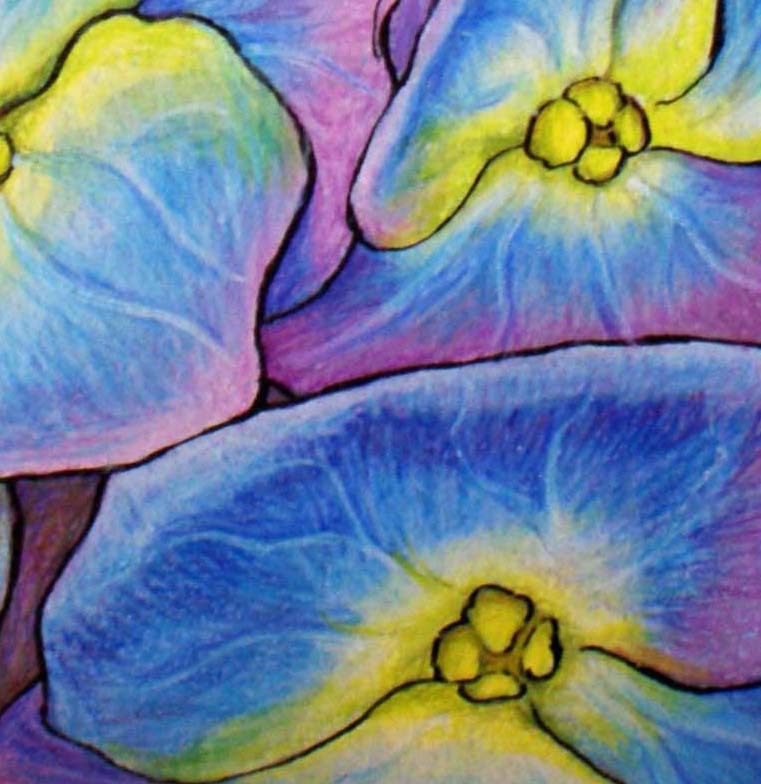 i love the color blending it gives cool sense of the pretty flower you made. Thankyou for your kind comments. 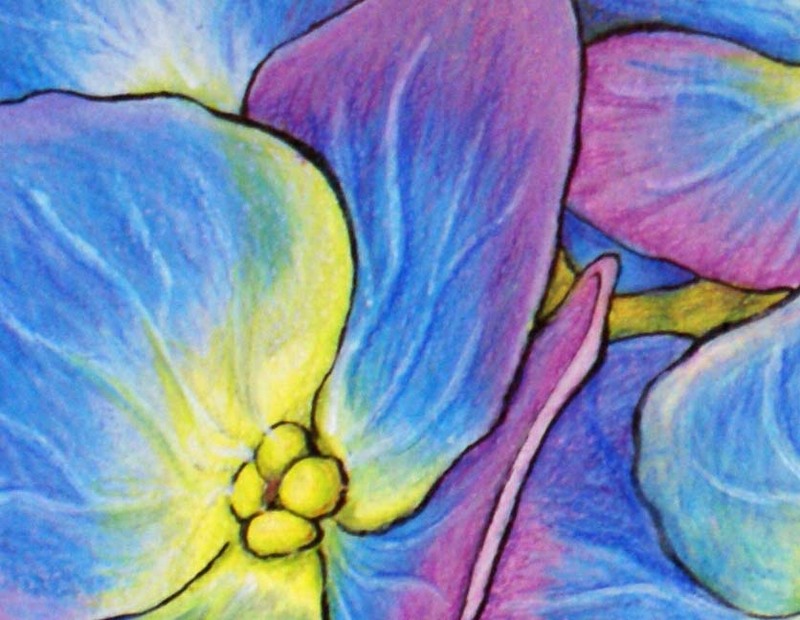 The veins were painted on in white acrylic over the top of the petals and then I went over them in coloured pencil too shade them back into the petals. Karen. Beautiful job, Karen! I like the addition of the veins. Oh my goodness your hydrangeas are stunning! 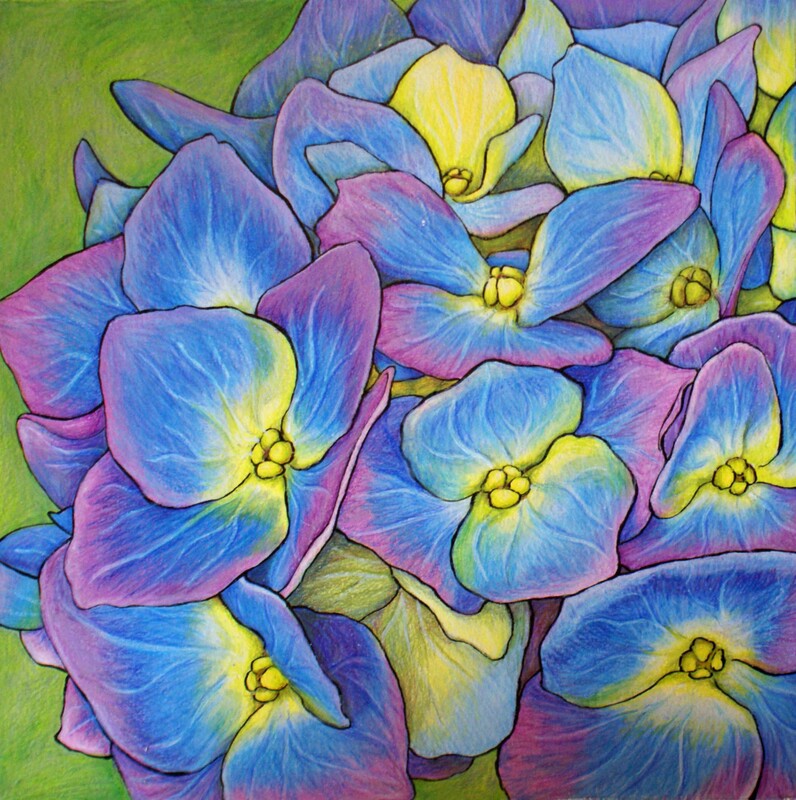 I love hydrangeas and your drawings and paintings really do them justice and then some. It’s fun to see someone else do multiple versions from the same source. I love all of them! You are amazing! Love these drawings. Strong colors, but they really capture the flower. 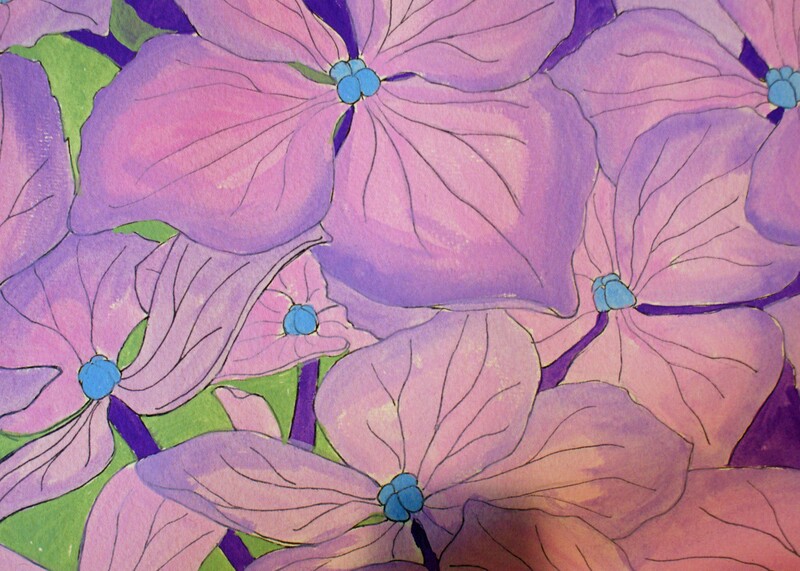 Love hydrangeas too, but never painted them before.. 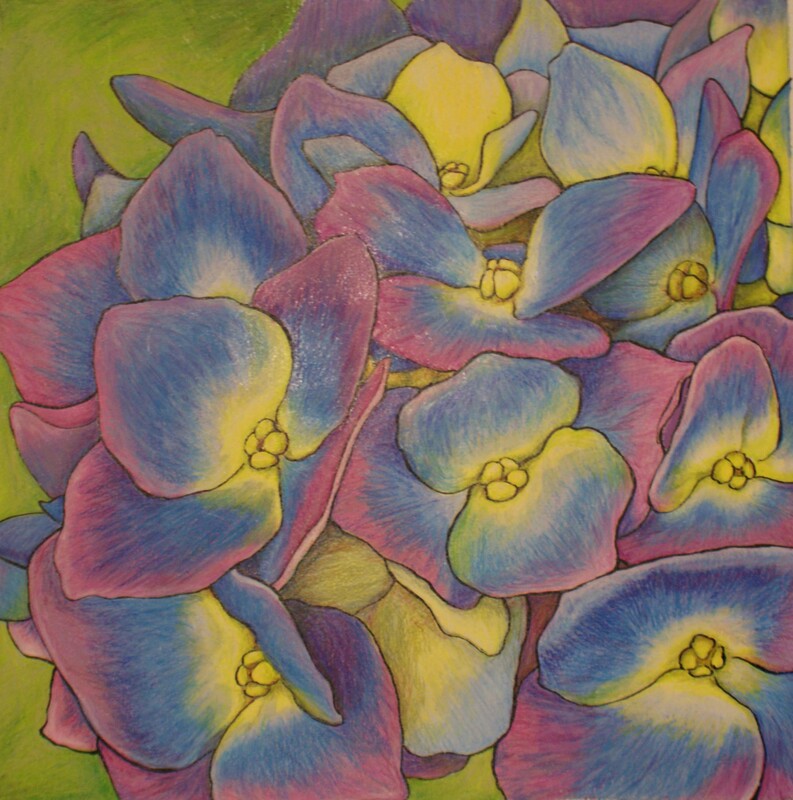 Thank you so much, I am glad you like the paintings, I am particularly with the Hydrangeas.